Control your hairs smoothness and complement it by protecting your hair against frizziness and heat damage. Long-lasting smoothness, shine anad manageability make your hair the envy of everyone. Controling your hair's volume to enhance the look of your hair. Designed for fine, medium and frizzy hair. Recommended Hair Bath: Bain Oléo-Relax. Apply Masque Oléo-Relax, rinse and towel-dry. Place one pump of Sérum Oléo-Relax onto the fingertips. Work in well then apply to the mid-lengths and ends of the hair. Style as normal. To finish, use a further drop of Sérum Oléo-Relax to smooth out any frizz. Remember Sérum Oléo-Relax is concentrated and should not be applied to the roots, especially on fine hair or oily scalps. Nutri-Huile Complexe: Combination of Shorea and Palm Oils nourish the hair to give immediate smoothing of the hair cuticle. Anti-Frizz Protection Formula: Soluble Silicone Derivatives provide a long-lasting anti-frizz effect on particularly dry and uncontrollable hair by placing a film on each hair, protecting against the effects of humidity and preventing frizz. 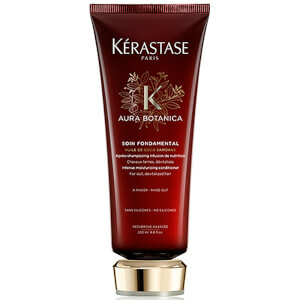 Light, fluid texture leaves the hair feeling light and shiny.